Apart from major Indian festivals like the Holi and Diwali which are celebrated with traditional fervour and joy throughout the country, there are a few festivals which are very special to Varanasi and are celebrated with much pomp and ceremony. Yoga along the banks of the Ganga. Share this rejuvenating experience at the International Yoga Week organised by U.P. Tourism at picturesque Rishikesh. Learn Yoga from international masters. Enjoy a fulfilling break from the ordinary. A Culturally vibrant platform that brings together the finest Indian crafts and culture nauances. The Taj Mahotsav at Agra is a festive introduction to India and Uttar Pradesh. Mix and match festive enjoyment with fascinating sight-seeing aroung Agra.... discover the arts, crafts, culture and cuisines. Steeped in valour, Jhansi-the heart of Bundelkhand-awaits your discovering touch. As rich folk traditions and legends come alive to recount tales of glory, festive spirit blooms in the air at the Jhansi Festival . Let U.P. Tourism take you into the pages of history. A fiesta of colour and gaiety, Holi is a festival that comes alive in a hundred enchanting ways in Lord Krishna's mystical homeland, Brajbhoomi. Be a part of this colourful festival at Rang Gulal Festival at Mathura and feel the vibrant moods of Holi at traditional centres like Vrindavan, Barsana, Gokul and Baldeo. In the shadow of the Himalayasm in the abode of the Gods... a festival that pays tribute to the artistic and cultural richness of India. The Badri-Kedar Festival at the holy shrines of Badrinath and Kedarnath. Be a part of the eight-days long festivity that brings together some of the best of Indian artistes at a unique festival destination. A kaleidoscopic presentation of the many-faceted culture of Brajbhoomi, the Vrindavan Sharadotsav is the perfect introduction to the homeland of Lord Krishna. As the chimes of temple bells fill the air with a mystic feeling, discover for yourself the colourful traditions of a land where the sweet lore of Krishna's flute still prevails. In the lap of the Himalayas, a festival to celebrate its wondrous majesty. A festival of the wonderful people of Garhwal..... The Garhwal Festival. As people and performers from across the country journey down the valleys for the celebrations drop in to feel enchantment for yourself. Let the music and dance seep in. 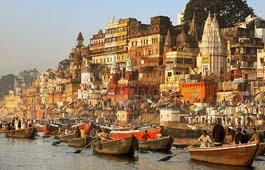 Varanasi .... a city perched on the edge of time along the banks of an everflowing river. 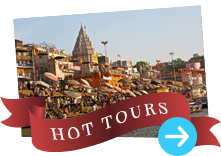 Every year at Varanasi, the ancient glory of the Ganga is celebrated by devouts and visitors alike. 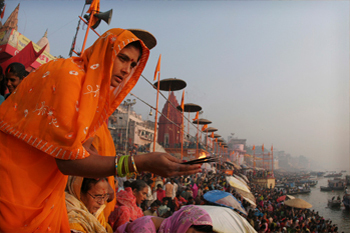 Every year a festive experience like none other awaits you at Ganga Festival at Varanasi. Kumaon.... lyrical hills in the shadow of snowy peaks which have cradled the fascinating world of the enchanting Kumaonis. Join the people of Kumaon as they step into the musically festive rhythms of the Kumaon Festival. Experience a joyously different holiday with U.P. Tourism. Celebrate the splendours of Awadh and the wonders of Lucknow...its historic past and its living traditions. Days full of festive events and evenings laden with entertainment , Crafts, cuisines, music and dance Relive the glory of a great city at the Lucknow Festival.